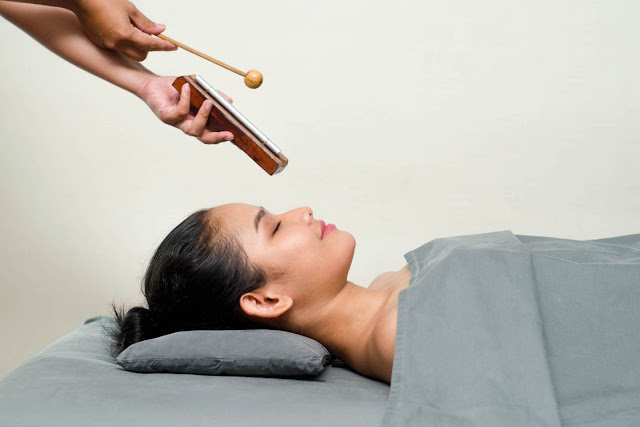 True energy healing a deep and pure relaxation stage through surrendering your mind and body. Thus, your energy will be fully recharged. Throughout your Zen Shirodhara experiences, some miracle drops of warm coconut oil on your third eye will awaken your mind. Then it is followed by coconut hair treatment, massage and mangosteen facial that will keep you feeling revitalized, re-energize, rebalance and rejuvenated. Zen Bali ritual 10 min Zen Shirodhara 45 min Zen Healing Massage 60 min Coconut Hair Therapy 45 min Mangosteen ‘Youthful & Glowing’ Facial 50 min Zen Tea-Ginger Honey. An improvement of your sense of well-being through a combination of remedial massage, osteopathy, and body accupoint to activate the endocrine hormone and biofeedback system. A treatment that focuses on crown chakra with deep pressures of the thumb and fingers that entrusts a powerful effect for the body and helps maintain a vigorous shape. Through the use of Virgin Coconut Oil, this treatment also nourishes the hair. Where body and soul meet, opening and closing spirals of energy patterns for a whole recovery process. An intense massage with basalt stone, leaving the muscle deeply relaxed and recharging it with energy.